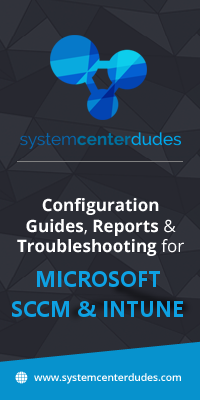 As an SCCM administrator, it’s important to learn the concept of troubleshooting a Configuration Manager client installation. 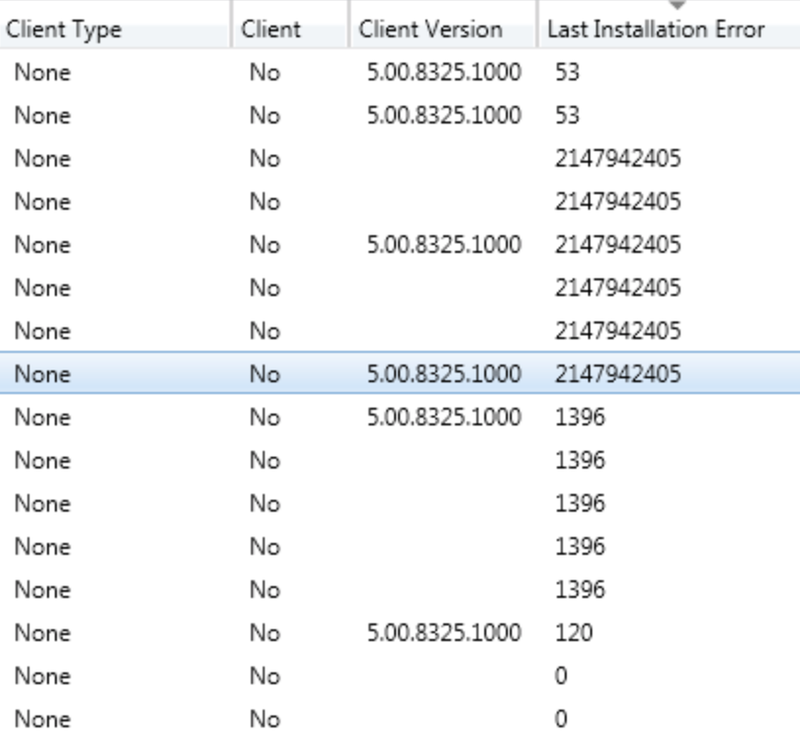 By targeting the SCCM client installation error codes, you will have a better idea of what is happening during client installation. The error codes is not an exact science, they can defer depending on the situation. 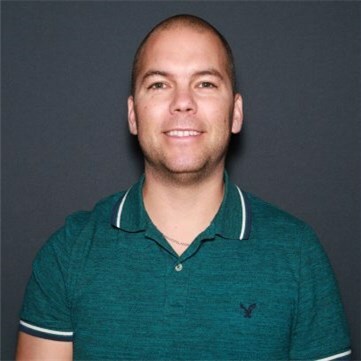 For a better understanding about error codes, read this great post from Jason Sandys. These codes appears in ccmsetup logs, located on in C:\windows\ccmsetup\logs. 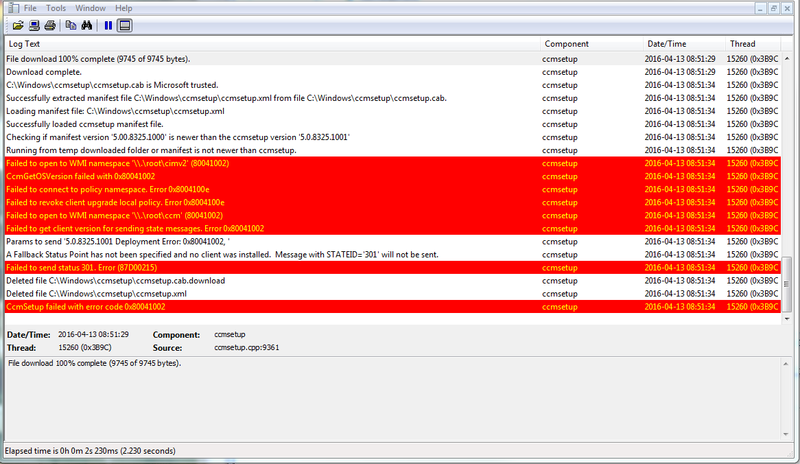 During the installation process, monitor the ccmsetup.log using cmtrace.exe and locate each error codes. There are other logs, on which the SCCM client installation relates. If you don’t find enough information in the ccmsetup.log, scan all related log files in c:\windows\ccm\logs. Use the command line net helpmsg, for more information about your return error code. There are chances that the last error code return an empty value for a device. This post from Technet Forums (Thanks to Charlie Hawkins), has inspired us to prepare a list of all error codes, that can happen during the SCCM client installation. Some errors have been added based on our personal experiences. Don’t forget to put emphasis on the prerequisites of the SCCM client, this will increase your success percentage during client installation. You can also check the list of client commands list, as an additional help for troubleshooting your SCCM clients. Knowing the client installation status from reports, reduces the amount of devices without SCCM client installed in your IT infrastructure. It’s also increase your effectiveness, when it’s time to tackle all unhealthy clients. One of our System Health report is made especially for the Configuration Manager Client. 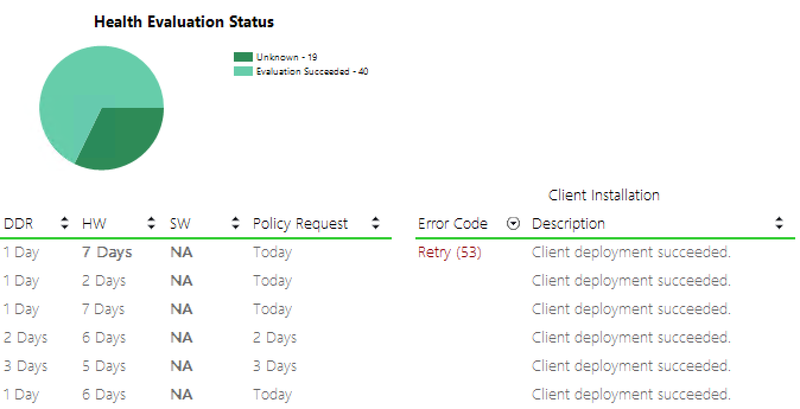 This report now shows the last SCCM client installation error codes, including the description of the installation deployment state. This report will help you achieve the *near* 100% client installation, that project managers loves to see. who knows what it is. (we got unknown error for this) with error status id:11423? Can you please help with error code 0xC0000409(-1073740791)? Has anyone experienced error 2147749911 not on the list? I have a code 121 on Client Push !!! Windows Setup failed with hexadecimal exit code 0x80070241 (decimal 2147942977). To identify the type of issue, lookup it against the table of known values of Windows Setup errors online. I wonder where in the WMI Namespace this is recorded, I would like to make this a WQL-query based collection. Any chance of convincing you to do a similar writeup for the seemingly more vague error codes that come with SCCM OSD? I have a lot of clients with Last Installation Error Code 120. This code isn’t mentioned in your list. Can you help me with this code? Need some help with ErrorCode=”-2145386476 or error code 0x80200014. This is incredibly useful. Thank you!